EPOC: Can you really burn calories and torch fat all day long, even when you aren’t working out? Have you heard of excess post-exercise oxygen consumption? Also known as EPOC. It’s the scientific term for the afterburn effect, which can help you burn more calories long after you’ve stopeed your workout (we touched on this in our 09/01/15 email). Keep reading to learn how EPOC can earn you more effective workouts, burn more calories and help your runs. Over time high-intensity workouts can increase your VO2 max, or your body’s ability to use oxygen for energy. That means better endurance, which leads to more energy and the ability to sustain more work for a longer period of time (better run times, Folks). You will find that when you do go back to slower, steady state cardio, you’ll be able to maintain that longer with more ease. If you buy a smart pedometer or fitness tracker like a Fitbit, chances are the device will encourage you to take 10,000 steps a day. But do you really have to walk this much to be healthy? Experts say that while 10,000 steps a day is a good number to reach, any amount of activity beyond what you’re currently doing will likely benefit your health. Studies conducted since then suggest that people who increased their walking to 10,000 steps daily experience health benefits. One study found that women who increased their step count to nearly 10,000 steps a day reduced their blood pressure after 24 weeks. Another study of overweight women found that walking 10,000 steps a day improved their glucose levels. Walking 10,000 steps a day is not an official recommendation from the Centers for Disease Control and Prevention. Instead, the agency recommends adults engage in 150 minutes of moderate activity a week, such as brisk walking. To meet the CDC’s recommendation, you need to walk about 7,000 to 8,000 steps a day. If you normally walk about 5,000 steps a day, getting in an extra 30-minute, brisk walk into your day would take you to about 8,000 steps. The average U.S. adult walks about 5,900 steps daily. Still, there’s no reason to stop at 8,000 steps if you can do more. The Mayo Clinic recommends that people using pedometers first set short-term goals, such as taking an extra 1,000 steps daily for one week, and then build up to a long-term goal such as 10,000 steps. There’s not a single strategy to increase your step count, each person has to find what works for them. The most important thing is to increase your activity beyond what you were doing before. We just want people to get up, and get started and any amount of activity that you can do today that you didn’t do yesterday, you’re probably going to start benefiting from it. Want a healthier family? Tell them to take a hike! 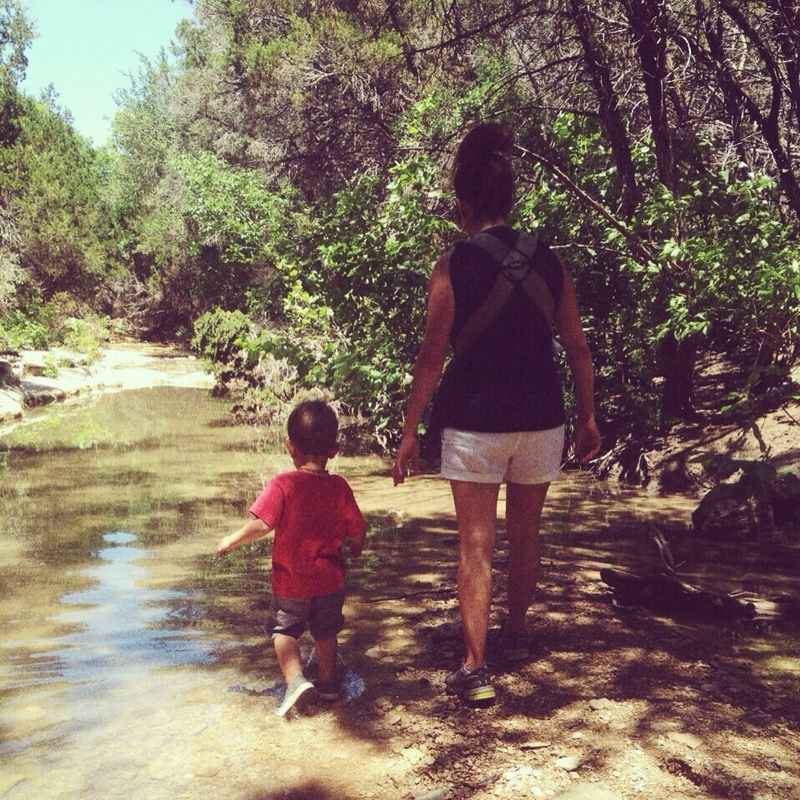 There are long-term mental health benefits to hiking with children. Tammy York, author of 60 Hikes Within 60 Miles shares the benefits of hiking perspective with Cincinnati father of two Jeff Alt, who just published his second book, Get Your Kids Hiking. The two hiking advocates know they’re fighting upstream against digital technology for their kids’ attention. But they say they’ve seen firsthand the payoff of walking in the woods. “It opens the avenue for kids to teach themselves, to concentrate on one thing,” York says, a skill she believes is diminished by spending too much time listening to music on an iPod or playing video games.”There are so many distractions. Everything is calling for their attention,” she says. “Twenty years from now, that one thing (ability to concentrate) is going to be severely lacking in our society.”Hiking, York says, gives a boy or girl’s body the chance to reset itself and his or her mind to focus. Alt says scientific studies have shown that hiking releases body chemicals, such as serotonin and adrenaline, that result in more positive thinking. 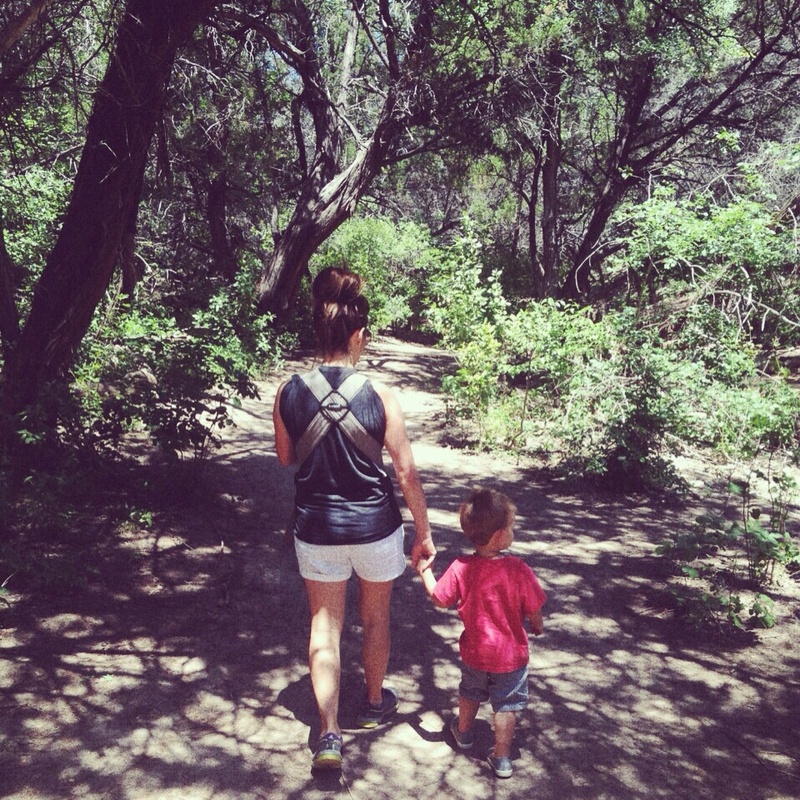 He recommends parents start taking their children on hikes when they are infants, strapping them to their chests until they reach 15 pounds. That’s about when a child’s neck is strong enough to support his or her head while riding in a backpack. 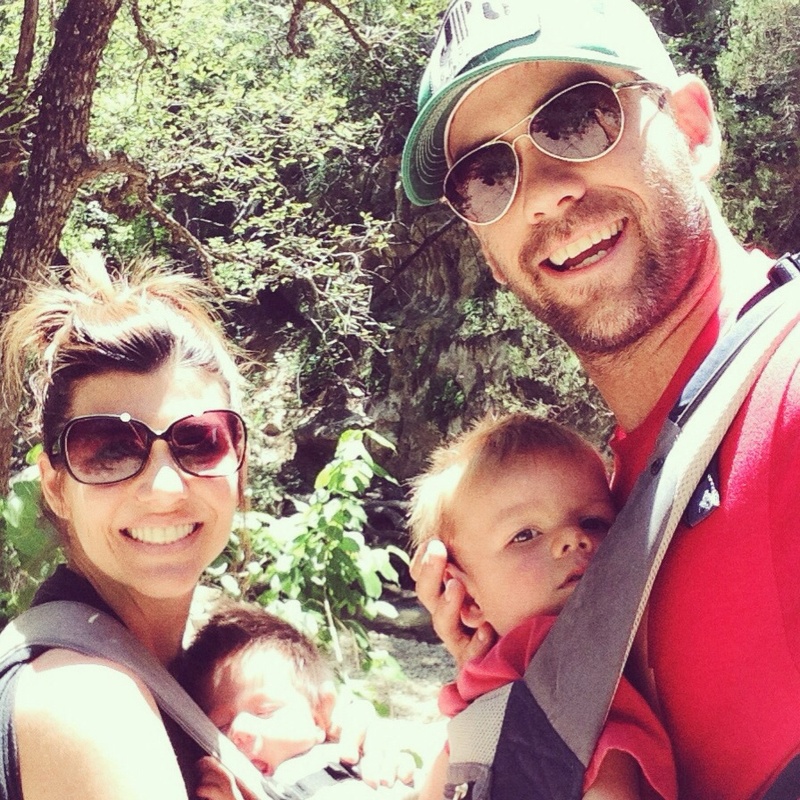 York gave her children tiny “princess” backpacks to hike with. She empowered them by letting them choose their snacks (apple or banana, Wheat Thins or pretzels) and Crayon colors. She packed drawing paper, water in Nalgene bottles and plastic bags for sitting down where it was wet. When kids are little, she says, watch for fatigue on their faces as they hike. Stop and sit down. Let them draw what they want and talk about what they want. “If you go out and preach, preach, preach, they’ll tune you out,” York says. Little ones don’t know they’re learning. — Let the child lead within reason. Be mindful of dangerous areas such as cliffs, fast moving rivers, etc.– When your child takes interest in an animal or rock, stop and explore with him or her.– Bring items that kids can use to interact with nature such as a magnifying glass, binoculars, plant and bird identification guides, a camera and a bug catcher.– Use all your senses to explore: Close your eyes, breathe in through your nose and listen, then talk about what you heard or smelled. Touch bark. Make a leaf imprint with paper and pencil.– Let your little adventurer pack a few items of his own; even if it’s not hiking related. This will give him a sense of ownership. 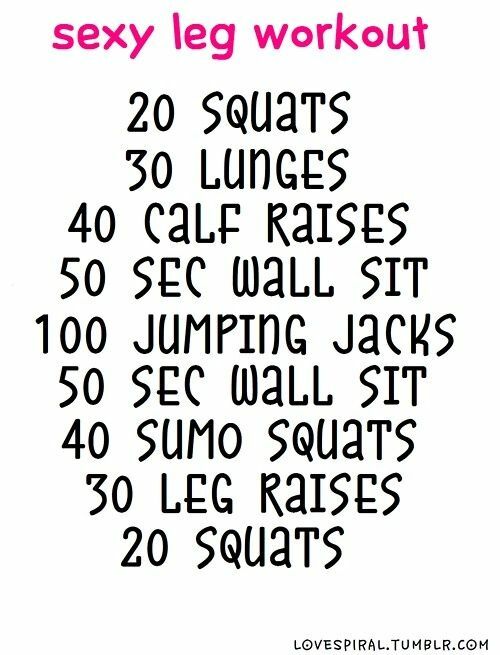 Add this leg challenge to the ab & arm workouts for a total body challenge! 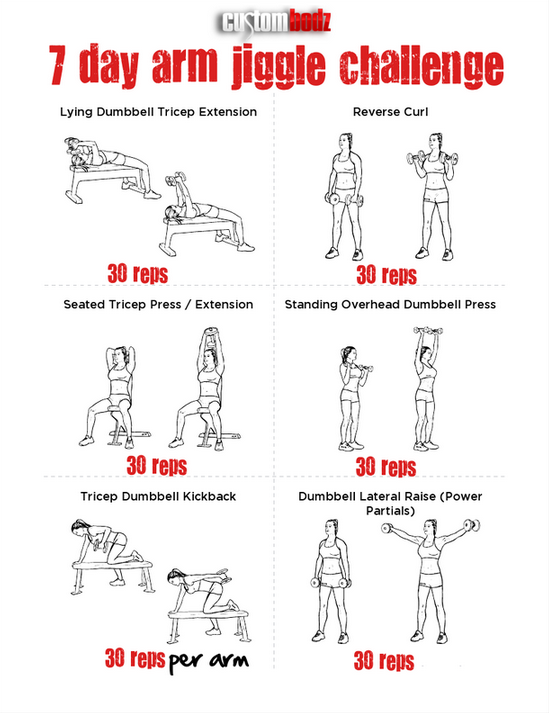 If you are running short on time, alternate your leg & arm days! Good luck! 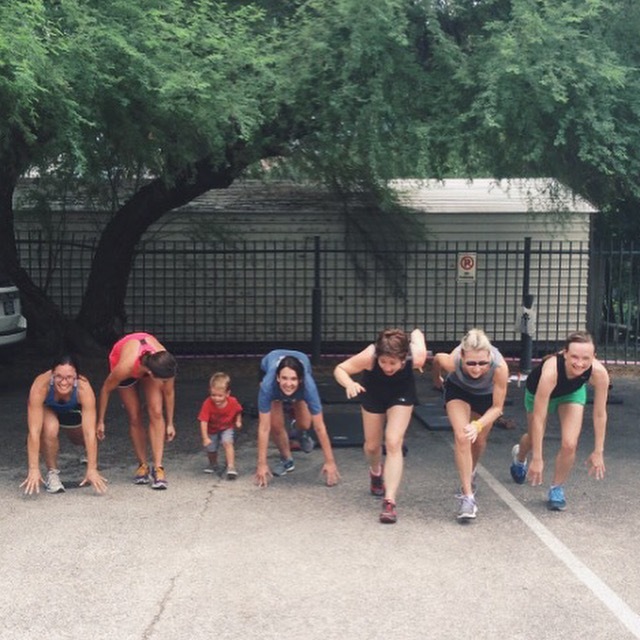 Need a little extra “work” in your workouts? 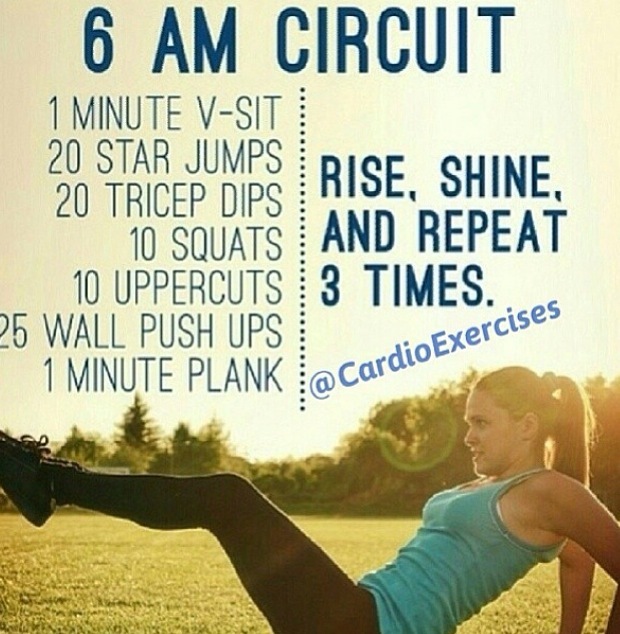 Try this simple, quick & effective circuit before you get you day started! Try for a 3 rounds on the weekends! During the week – try for 1 round on bootcamp days & 2-3 rounds on non-bootcamp days before you jump in the shower & get your day started! 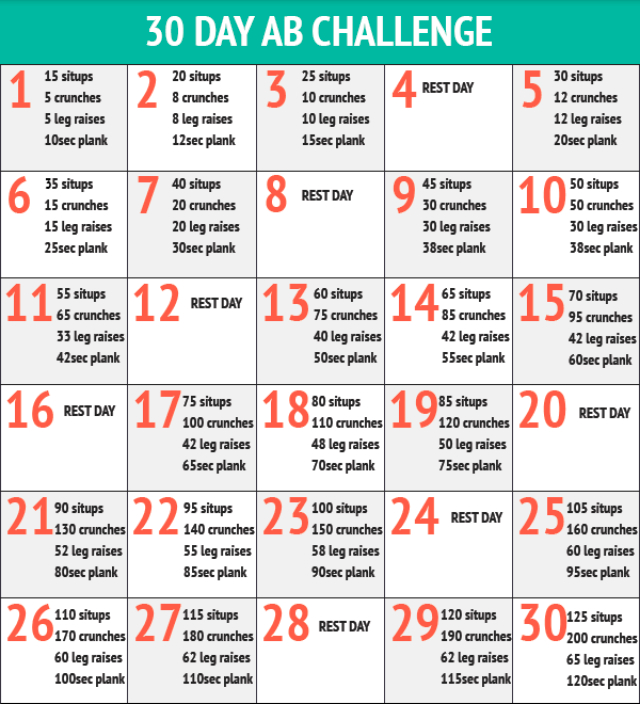 Don’t forget about your Ab & Arm Challenges as well! There is certainly an attraction to the beach, the waves and smell of the salt air are great for relaxation as well as the beach itself provides some subtle health benefits. Unfortunately, we can’t all live at the beach year-round so here are some simple ways for you to also find these benefits at home! Vitamin C & OPC 3 – Both are potent anti-inflammatories (but work in different ways), and it is good for the immune system too. Astaxanthin– A highly potent antioxidant which research shows acts as an internal sunscreen. It’s also supposedly an anti-aging supplement. 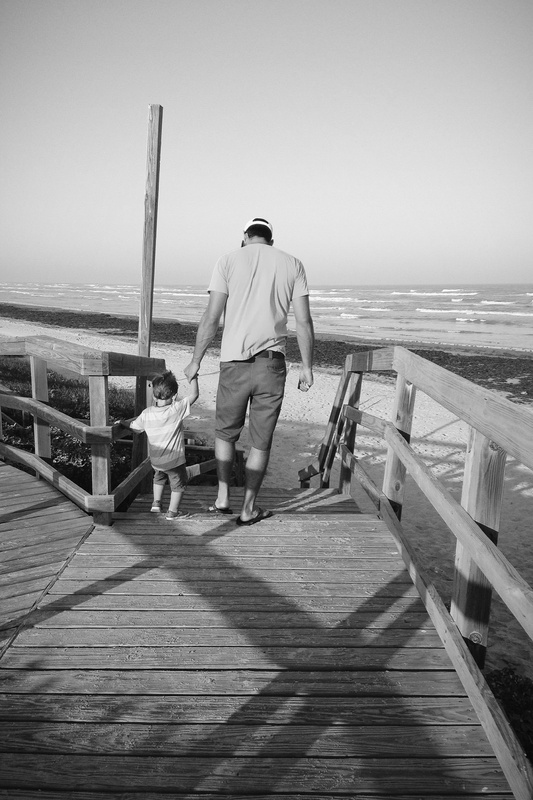 Since we can’t all live at the beach year-round, it is possible to get Vitamin D at home. Obviously, sun exposure can accomplish this at home or at the beach. For times of year when sun exposure isn’t possible, try a Vitamin D3 supplement at home. “Magnesium is the eighth most abundant mineral on earth, and the third most abundant in sea water. More importantly, it is the fourth most abundant mineral in the human body and it is necessary in over 300 reactions within the body. Magnesium isn’t just abundant in the body, but vitally important too. As this article explains: Every single cell in the human body demands adequate magnesium to function, or it will perish. Strong bones and teeth, balanced hormones, a healthy nervous and cardiovascular system, well functioning detoxification pathways and much more depend upon cellular magnesium sufficiency. Soft tissue containing the highest concentrations of magnesium in the body include the brain and the heart—two organs that produce a large amount of electrical activity, and which can be especially vulnerable to magnesium insufficiency.” Sea water and sand are a great source of magnesium and it is often better to get magnesium transdermally (through the skin). Unfortunately, magnesium is often not well absorbed by the digestive track, and is even more difficult to absorb in this way for those who are low in vitamin D, have poor gut bacteria or suffer from a number of other health conditions.” The salt water itself is also detoxifying and helps pull impurities from the body and skin. Salt water inhibits bacterial growth and skin infections. In powder form with a product like Natural Calm so that you can vary your dose and work up slowly. In transdermal form by using Magnesium oil applied to skin. Stress is bad for health and the beach is wonderful for relaxation with the the soothing sound of waves and the massage of sand on the feet. Since you can’t bring the beach home, try these relaxation tips by following these steps and using a sound machine for relaxing sleep (also helpful for kids). 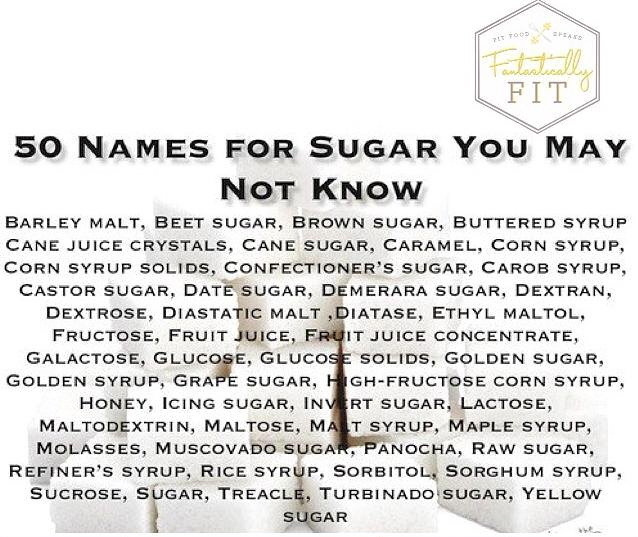 If your detox includes cutting out sugar (except for natural sugar) here is a great list of hidden and different names for sugar. Not all of them are bad, but beware of what you are ingesting! 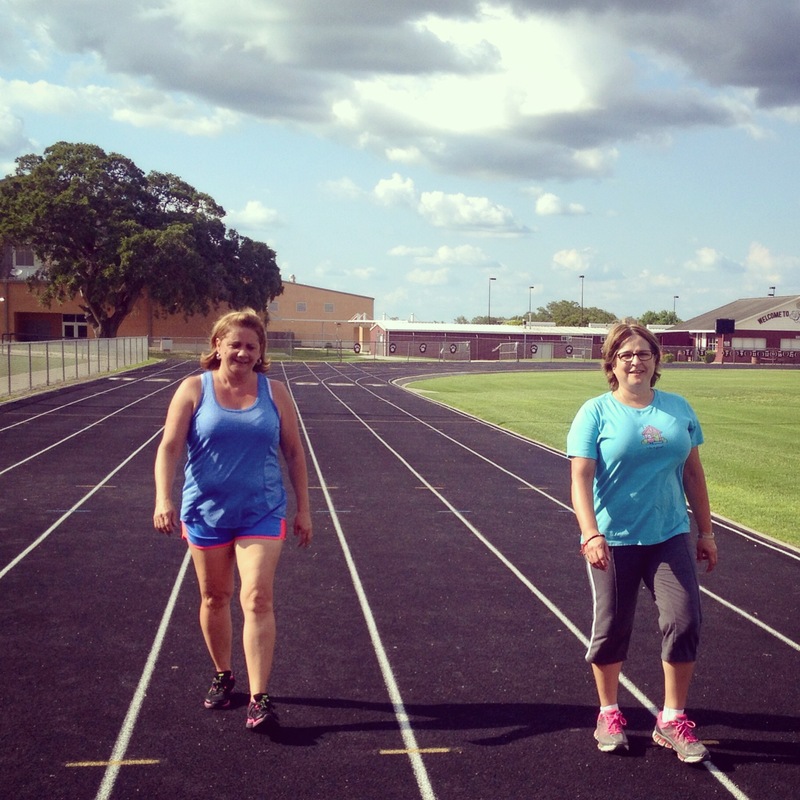 Source: Coach Brit (Flatonia’s Folk Wellness Co. Bootcamp) & Fantastically Fit!